Rita Argen Auerbach's prints are a Chautauqua favorite. 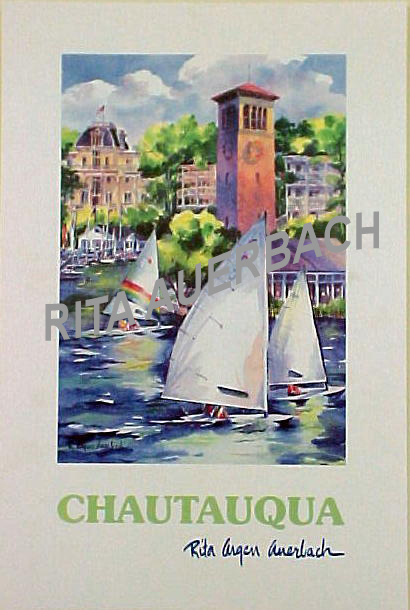 Let yourself set sail back to Chautauqua with this print featuring the Pier Building, Bell Tower, and Athenaeum Hotel. Measures approx 20" x 30"